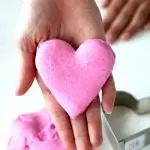 Now that summer is over, slime is over. Its a mantra you have been saying since the whole craze begin, right parents? WRONG! 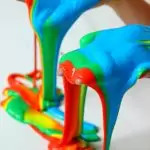 Slime is never more accurate than when used in a Halloween setting. 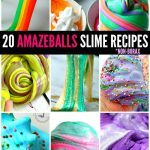 From ooey and gooey to sticky and well, slimey, some of the worlds best Halloween movies feature slime and this holiday season, you should to! 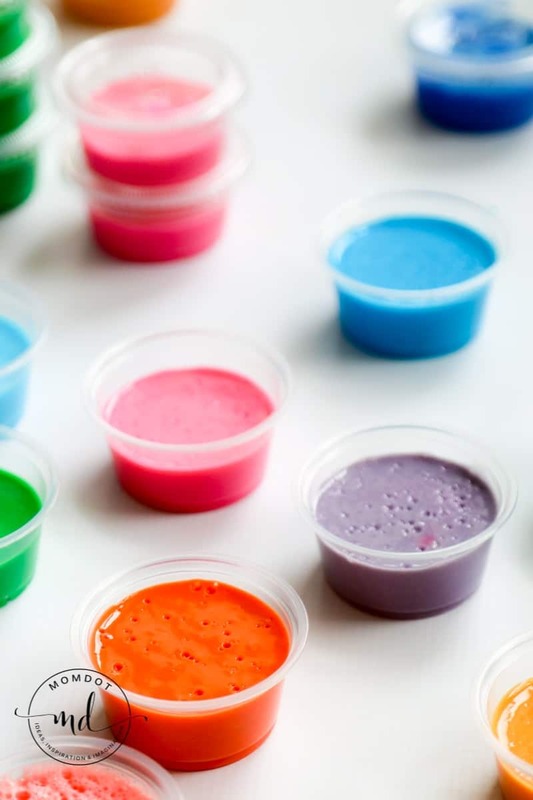 Easily pass out this Halloween Candy Alternative, a mini container full of super Halloween slime, for a non candy treat and favor. The kids will love you…the parents, maybe not. First things first: When handing out a non-candy item make sure its clearly labeled as not for consumption. While not on my containers (We actually passed these ones out at a slime sample event I hosted), you can write it with a sharpie or even print out super cute sticker toppers like “Monster Goo” “Ghostbusters Slime” etc. 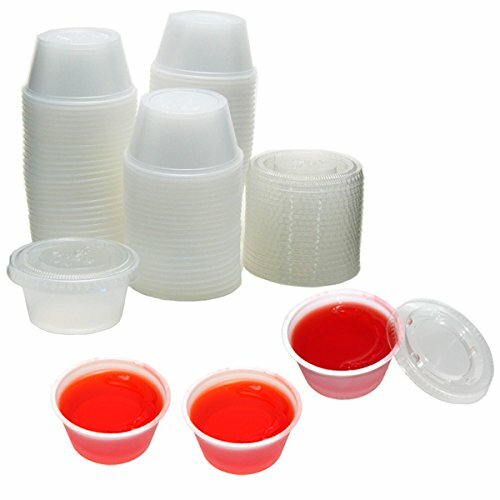 Second, these containers used below are actually condiment containers. 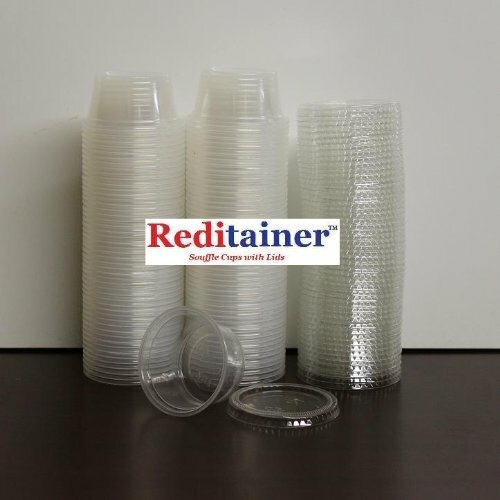 They work perfectly for slime and come with mini lids as well. We bought ours at Walmart, but you can buy nearly anywhere. If you are pressed for time, check out these on amazon . 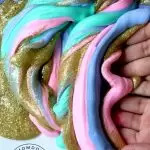 There are a million ways to make Halloween slime! 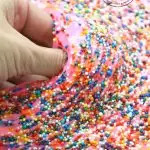 This Halloween Candy Alternative can be sticky or goopy, stringy or just plain gross. 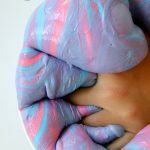 If you do not know how to make slime, you can check out one of these fantastic articles on slime. 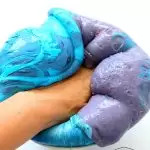 You can also make Halloween specific slime like Zombie Slime, Ectoplasm Slime, or Bat Poop slime! 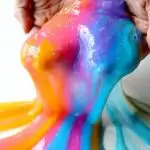 If you want your favors to be extra fun, try layering with Clear Rainbow Slime or some green goop! « Frankenstein Punch: Halloween Punch for Kids!